Although I'm giving this album the same rating, I think I prefer it to the AOR one. There's more continuity with the same vocalists singing the songs, even though some of the songs have been edited to be duets with the vocalists on the other album. When it comes to publicity and potential to break through, I would certainly put my money on this band rather than those Slama's AOR (the project) albums. 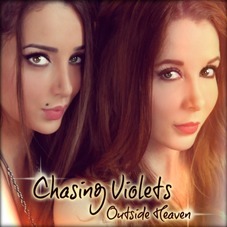 Two beautiful girls will interest the mainstream media more than faceless melodic rock artists. When it comes to the songs, most of my favourites from "L.A. 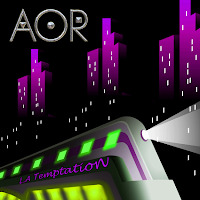 Temptation" are given the Violet treatment ("Violation"?) here. Even one of the Violets' "exclusive" tracks has to be mentioned as one of the top tracks of the batch - the fine opener "I Can't Love No More". Out of all the 18 songs on the two albums, one could have put together a rather solid 10-track CD, now both of the albums end up falling a little short. The same problems I mentioned in my review of the AOR album occur here too - the production isn't always top notch and Slama's odd way of working with words tends to annoy me a little bit. It might be just me, but I think the best tracks of the album are the first few numbers, especially the first two tracks. "No Margin For Error" and "Above Suspicion", sung by Phil Bardowell and Göran Edman respectively, are both fine uptempo melodic tracks with cool hooks. Then the production quality of the songs starts to vary from track to track, to the extent that some of the songs sound more like demos than actual recordings. I also noticed that some of Slama's lyrics and vocal melodies sound really complicated and hard to sing, as if there's just too many words in them. Take "When Darkness Falls" for example - it sounds like Joey Summer is singing a chapter from a book instead of a song! All in all, a good two thirds of the album isn't too bad at all, but even the better songs would sound better with a bit more powerful and less uneven production.